I was a little worried by the names but I have to say I’m pleasantly surprised! Same here. It’s good to see some more species coming in too. And yes, I’m aware of Geoffrey St. John. Update 2/16 1:33 PM: IDW informed us that a mistake had been made, and the names of the characters reversed. Rough is the little one, Tumble is the big one. The article has been edited to reflect the correct names. From the Kotaku article. Please edit this post accordingly. 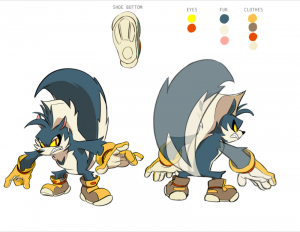 Tyson Hesse’s OCs look better than the real Cs. Fang/Nack perhaps? He’s a pretty obscure antagonist as far as game characters go. I’d be all for it, just please, don’t team him up with Rough and Tumble, Bean and Bark, or anyone else, this time. Have him work solo, just like in the games. Is fang even obscure anymore? 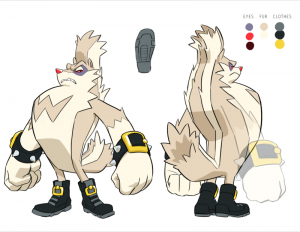 He’s been around for a while in the previous comic series and had a chunk of a boss fight dedicated to him in Mania, so while he’s not a frequent villain in the games, he’s been the “surprise cameo/twist” character in the brand for years now. I do hope that this antagonist that they’re building up to will actually be a hype-inducing surprise. I won’t take my guesses on who because that’d spark further debate on the character being too obscure, not obscure enough, too minor, or too major to qualify. Still, I have faith in Flynn in this regard because in general he’s good at teasing things for fans. These guys are kinda great! Glad there’s people with talent working on these comics. Sleet and Dingo? Let’s hope these new guys are better than them. Seems promising. I’m looking forward to the new Sonic comics and I’ll probably collect all of them until the series ends. I’m gonna get issue 1 (hopefully I’ll try to get issue #0 too) to the final issue. Unless I’ve missed something, there is no issue #0.